Even if you see crystal-clear and have no complaints about your eyes or vision, regular check-ups of your eyes are critical – regardless of your age or physical condition! At Optical Effects Vision Center, we provide complete eye examinations for patients younger and older. From infants to the golden-aged, our caring, professional eye doctor will perform a thorough eye exam to evaluate visual acuity, functional vision skills, and ocular health. We equip our Las Vegas office with the latest, progressive technology in order to provide you with precise diagnoses and an efficient eye care experience! Our optometrist is pleased to check the eyes of our many valued patients from Enterprise in South Las Vegas, Seven Hills in Henderson, and all surrounding neighborhoods. Why do I need routine eye exams? Eyesight changes over time, both in children and adults. As the years go by, aging can lead to the development or progression of many typical vision conditions. 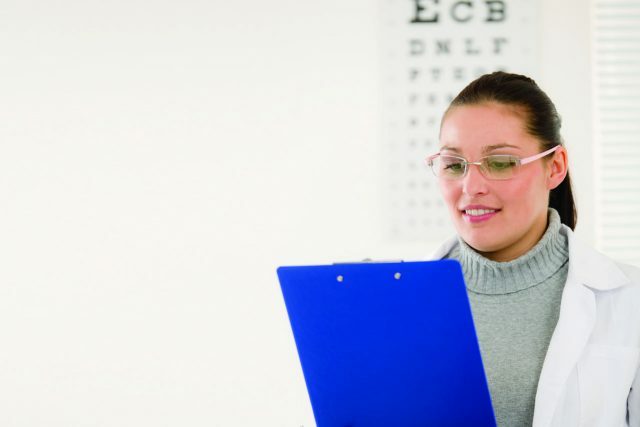 Only a detailed eye exam will determine if your prescription is accurate and up to date. 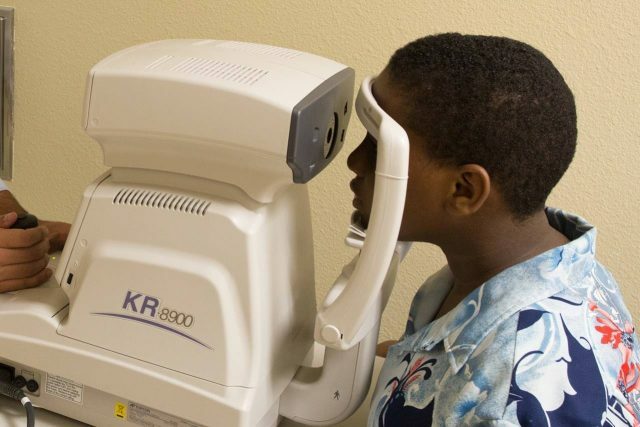 When it comes to kids, our eye doctor will assess the whole visual system to verify that there are no undetected vision conditions that could interfere with learning. We are dedicated to providing our Las Vegas patients with crisp, quality sight! Expert eye care goes way beyond checking your visual acuity. Our optometrist will use advanced diagnostics and the latest optometric devices to inspect your inner eye tissues for any early signs of a problem. Many eye diseases, such as cataracts, glaucoma, macular degeneration, and diabetic retinopathy, do not present symptoms at the beginning. Therefore, a dilated eye exam by an experienced, qualified eye doctor is the only way to uncover these diseases before they advance. The earlier an eye disease is diagnosed – the earlier we can begin treatment and the higher the success rate. In contrast, once an ocular disease has progressed to a late stage, your prognosis is generally less positive. Out of our dedication to promote lasting, healthy vision, we serve South Las Vegas, Enterprise, Seven Hills and all of Henderson, NV, with expert eye exams! Eyes can communicate a lot about your overall health to our eye doctor. Many dangerous conditions, such as diabetes, hypertension, and high cholesterol, can affect the health of your eyes – way before you notice any problem! 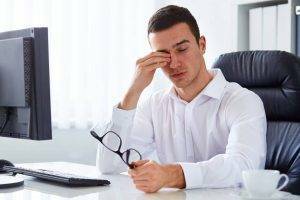 When left untreated, these conditions can endanger your general health and your vision. If our optometrist sees any signs of disease on your inner eye tissues, we will alert you to get appropriate medical care. From that point on, we will monitor your ocular condition with specialized procedures to prevent eye damage and future vision loss. What should I expect during my eye exam in Las Vegas? Our warm and welcoming eye doctor will meet with you as soon as you arrive for your appointment. In order to maximize your eye exam, it is imperative that you share your concerns and ask your questions. We will do our best to answer you patiently and completely. Please come prepared to tell us about your medical condition, family eye history, medications and any allergies. We are committed to providing personalized eye care! We furnish our office with high-tech devices and state-of-the-art diagnostics, and our optometrist will decide upon the specific tests and procedures that you need. The particular examination procedures vary from patient to patient, depending upon age, health, stage of development and vision condition. In general, we will assess visual skills such as binocularity (eye teaming), accommodation (focusing ability), and eye mobility. With the aid of high-powered magnification and digital imagery, we will check your retinal tissues and optic nerve. In sum, you will benefit from a highly precise and comprehensive evaluation of your eyesight and ocular health. What happens after my eye exam is finished? Clear communication is the foundation of clear vision! Our eye doctor will meet with you to share and discuss your results. If treatment is indicated – whether you need eyeglasses, vision therapy, or treatment for disease – we will review your options together. Working with you, our team will design a treatment plan that considers your medical requirements, visual expectations and lifestyle preferences. Clear, comfortable and healthy vision is the goal of every eye exam that we perform for our Las Vegas, Enterprise, and Seven Hills, Henderson patients!